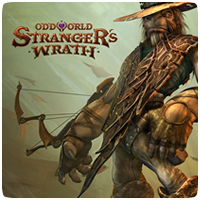 Oddworld: Stranger’s Wrath HD will be getting a massive patch next week. The free update will add 3DTV support to the game as well as PlayStation Move compatibility. Amongst the other changes, the patch also adds YouTube uploading and a number of bugfixes. 3DTV support – Scour the wilds, ruins and hideouts for scumbag Outlaws with the latest stereoscopic broadcasts from the Mongo River. Oddworld has never had so much D! Video recording and uploading – Record your victories, failures and candid moments straight to your PlayStation 3, and upload them directly to your YouTube account. Brightness & Gamma controls – No need to visit Doc for a new pair of eye-spectacles, now you can change the visibility of the very world around you with our brand new sliders. Audio fixes – Tired of lazy Townsfolk cutting themselves off mid-sentence? Fed up with soft-spoken Live Ammo? Is the soundtrack to your adventure jolted, often absent? Never fear! Our audio fixes fix your audio! Increased crosshair visibility – 9 out of 10 bounty hunters say they prefer our newer, opaquer crosshair. “It’s so much easier to see!” said excited Corn Jaws of New Yolk City. Fixed Quicksaves and Autosaves – Before, you could only load full saves from the Load Game screen. But now you can revert back to your most recent AutoSave and QuickSave for added convenience. Extra subtitles – The accessibility of Western Mudos has taken a step up with the introduction of additional gameplay-relevant subtitling in English, French, Italian, German and Spanish. Performance Improvements – Ask at your local General Store or Black Market for all available improvements to your experience of life.